Komplete Solutions (KS) provides software solutions and creative solution services aim to accelerate the creation of your product, reduce time to market and help make schedules predictable in order to better manage resources, predict cost, and reduce market and technology risks. 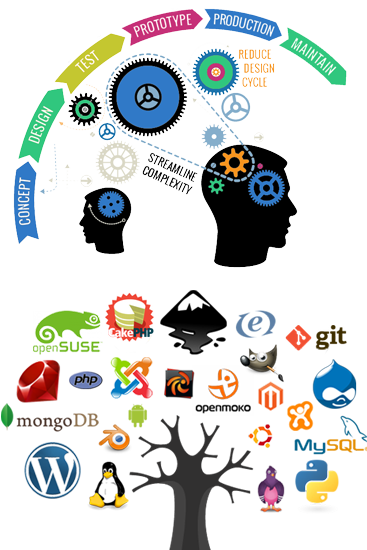 With KS as your offshore development partner or your web solution development team, you can grasp your best web solution product vision successfully. We are expert in Industrial ERP management software , Education ERP management software , Payroll management software , H.R.D. management software , Parking management software, CRM management software , Visitor management software, Hospital management Software, Banking management Software, Transport management software, Outdoor Advertisement management software, Bulk mailing software, Leave management Software, Overseas management Software, ERP Textiles management Software, Library management software, and Customized software. We also Deal in Website Design, Search Engine Optimization(SEO), Hardware & Networking with All Days support. KS has unique competencies for assessing the capability of entrepreneurial industries and to allow the business owner and the company to reduce the risk to minimal. It is on these competencies that the products and services range is base, as are the company’s exclusive risk management, quality control and management information systems. By providing our customers online web solutions with the highest skilled term and a world class infrastructure, we can ensure the quality and reliability of the web solutions product we build for you. The approach is to prevent fault rather than detect and rectify them. Tool and methodologies to manage configuration, releases, feature priority and defect tracking are established and tested in projects for many software product vendors offshore development centers enables customer to benefit from reduced project cycles and cost even as they avoid strains on their resources providing. Faster time to market for your product. Focus on strategic priorities such as next generation products Effective management of peaks and troughs as different stage of your product lifecycle.